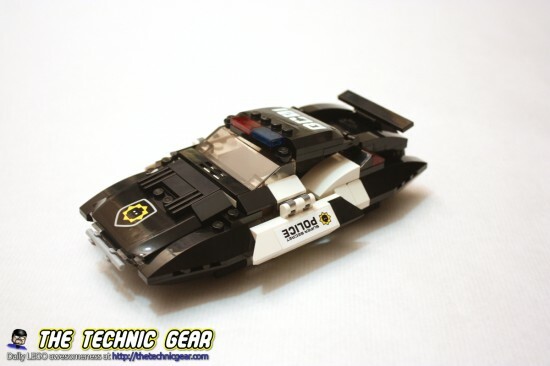 Bad Cop’s Pursuit is part of The LEGO Movie range of sets that were released on 2014 based on this awesome movie. If you haven’t watch the movie yet, go and do it. You won’t be disappointed and you will have lots of fun. 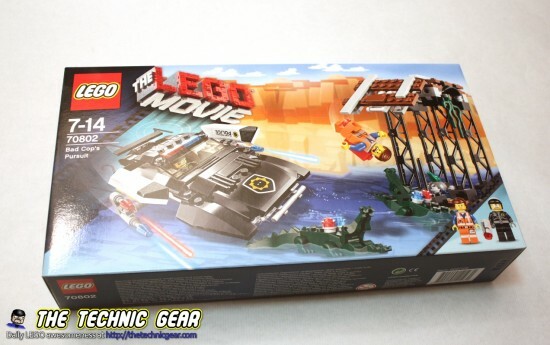 I have been so busy building LEGO that I have forget that I had to write reviews for them, so here it my first review of the LEGO Movie sets: Bad Cop’s Pursuit. More to come on the following weeks. I have to say that I bought this set for the lattice tower part but the car looks so good that I haven’t taken it apart. Where can I buy LEGO XXXX? It’s high-speed action as Bad Cop chases Emmet along the train tracks in his flying police car. Flip out the lasers under Bad Cop’s car hood and unleash the laser cannons hidden underneath the doors. Watch out for the collapsing train bridge! There’s double trouble as Bad Cop fires his blaster and the posable Robo Crocodiles with huge snapping jaws and police lights on their back wait below. When all seems lost for Emmet, turn the head on Bad Cop to transform him into Good Cop! 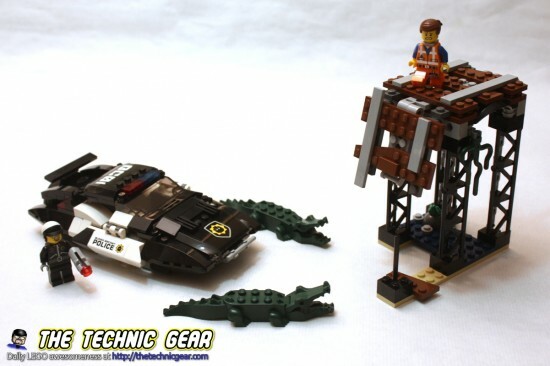 The Bad Cop’s Pursuit playset, part of The LEGO Movie range, features a collapsing bridge and a flying police car with opening roof, flip-out laser cannons, hidden yellow sidelights, flame red exhaust, and adjustable police lights. 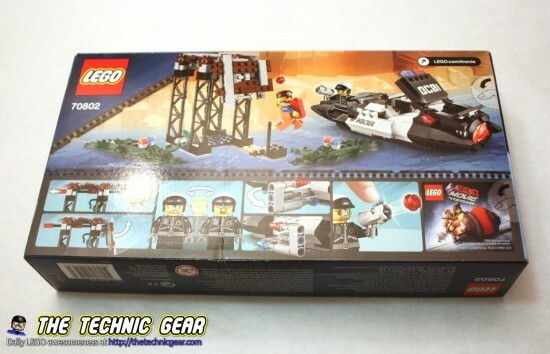 The set includes two minifigures with assorted weapons and accessories: Emmet and Bad Cop. This set comes in a small box that it is nicely filled for LEGO standards. Here it is the front side. It comes with two small instructions books. It is a very interesting model to build. It has two different parts on the building process: the train tracks and the flying car. The track is pretty simple and it won’t work with LEGO trains but you can get a few ideas about how to improve the way your LEGO tracks look. The car is fantastic with such nice line and it shows you quite a few techniques to get that kind of smooth surfaces. The hidden rockets building technique is used on a bigger set, the Super Cycle Chase. Here is the timelapse building video. This set has two minifigures included. – The car looks fantastic. 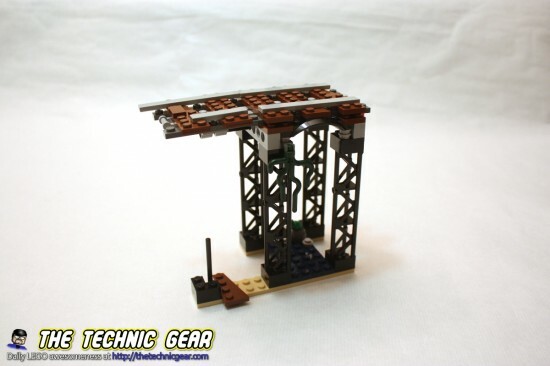 – It has four lattice towers ( that I use for elevated train tracks ). – Nothing I can think. It is just awesome. Does LEGO 70802 worth the money? Definitively! Don’t miss a minute and get one. You will thank me later.